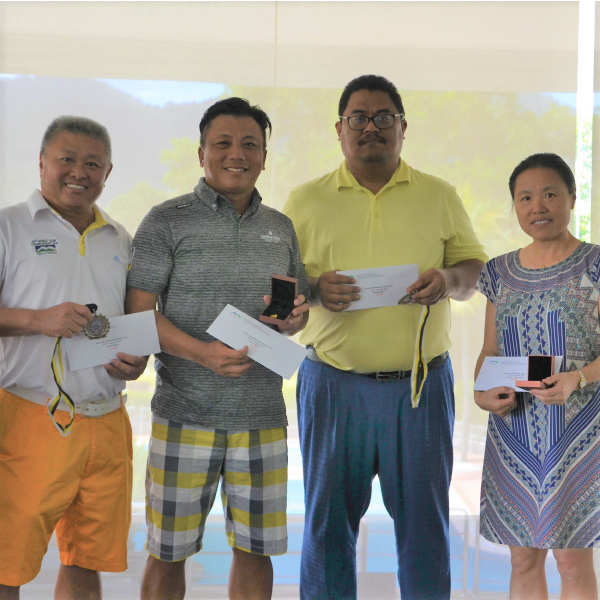 Jack Chew and Hong Ying Deng claimed victory at the seventh edition of Meru Valley Resort’s Gold Medal competition on Sunday, January 20, 2019. The electrifying event saw Jack Chew, handicap 1, seize the Men Gold Medal title by a 69 victory over Ng Tong Chin in the men category. Meanwhile, Hong Ying Deng, handicap 23, won the ladies gold medal title with a total score of 74 over Selina Heng, who scored 75 and took the second place. Yeh Eng Hong, handicap 15, lead the silver medal with a score of 69, meanwhile Noor Hafizan bin Mustapa, stood on top of the bronze medal competition with a total score of 70. The field was made up of 44 competitors from the top three winners of the club monthly medal competition. Please click here to download the complete results (pdf).